Mock drafts aren’t just performed by media members looking for clicks or fans searching for entertainment. For the Buffalo Bills, they help prepare for the real thing. 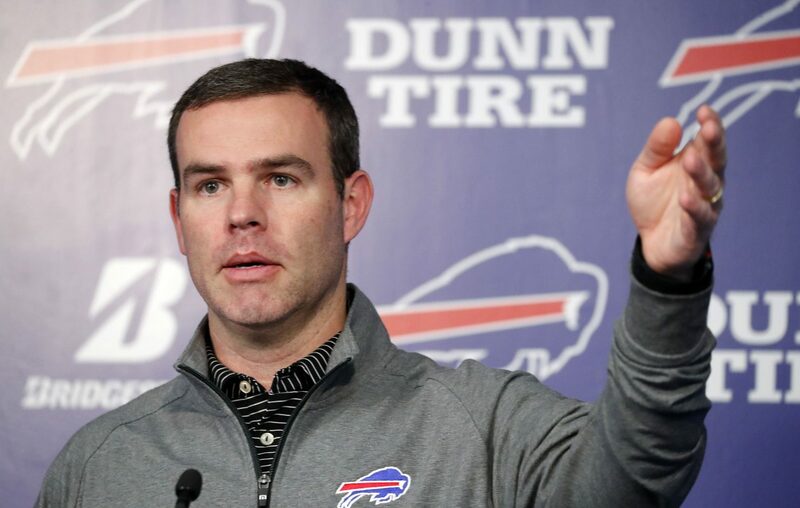 During his annual pre-draft press conference Monday, General Manager Brandon Beane explained how he conducts a mock draft to get an idea of what might happen before the Bills go on the clock. “We give every scout [a] team,” Beane said. “You're the GM of the Giants, the Raiders, whoever. Our pro guys go through what each team's needs are – what we see their needs are. Obviously, you're not necessarily supposed to draft for need, but teams still do it. At that point, you start looking and see where need and skill level fits. It's nice when you still fill a need. Beane sometimes will implement rules before his scouts make their picks, so that each exercise has a different outcome. "I do dictate the mocks – sometimes I'll say, all right, you can't take this player or these three players have to be gone before we pick, something like that, just to mix it up, so that we don't get the same thing going,” he said. The idea is for the Bills to prepare for every situation that might unfold on the night of the draft. The Bills held the 12th and 22nd picks in the first round of the 2018 draft. Beane ultimately traded both selections, moving up from No. 12 to No. 7 in a trade with Tampa Bay that also cost the Bills two second-round picks and returned quarterback Josh Allen. The second trade up, though, is one that Beane admits he didn’t prepare for. With linebacker Tremaine Edmunds slipping down the board, the Bills moved from No. 22 to No. 16, giving the Baltimore Ravens a third-round pick and getting a fifth-rounder in return. Most mock drafts have a hit rate that fluctuates between atrocious and awful. Beane wasn't letting on how the Bills’ predictions finished. “We got Josh,” he joked.